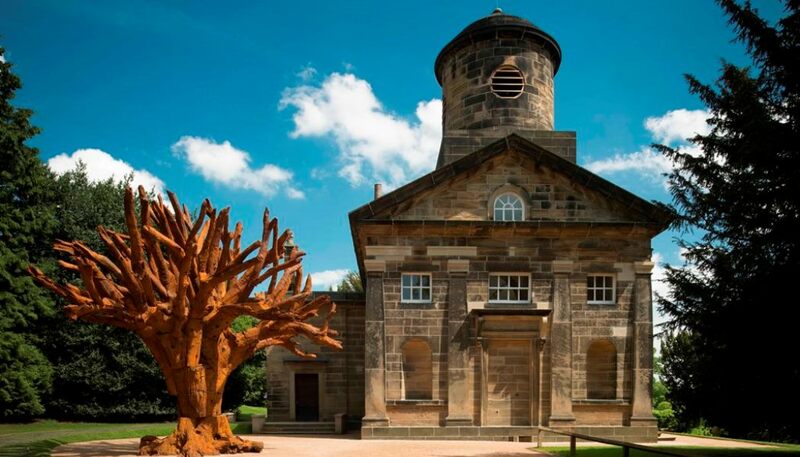 Yorkshire Sculpture Park’s new exhibition Transparency, which opened at the weekend in its 18th century Chapel, shares 15 significant works from the Arts Council Collection that explore the condition of transparency in the multiple meanings of the word. Here we talk to Helen Pheby PhD, Senior Curator at Yorkshire Sculpture Park about this, the second in a series of exhibitions curated from the Arts Council Collection as part of the National Partners Programme marking the Collection’s 70th anniversary. Transparency at Yorkshire Sculpture Park features 15 sculptures, installations and films made between 1978 and 2014 by artists including Yelena Popova, Mark Titchner, Rachel Whiteread and Cerith Wyn Evans. Presented during a period when the demand for truth and transparency from politicians and corporations is especially relevant, the exhibition reflects a shifting sentiment in British culture. How did Yorkshire Sculpture Park become a national partner to Art Council England’s collection? Yorkshire Sculpture Park has a longstanding relationship with the Arts Council Collection, who relocated their sculpture centre to an area of the Park called Longside in 2003. Longside Gallery is a unique space for exhibitions, used on an alternating basis by the Arts Council Collection and YSP. It was a natural evolution to seek to become a National Partner and deepen our connection to this outstanding collection, which is held on behalf of the nation, and to help to share it with even more people. What exhibitions have you put on so far what topics have been explored? So far we have curated At Home, an exhibition featuring works of domestic scale and theme in the Bothy Gallery, which was historically the home of the Head Gardener of the Bretton Estate. It included excellent pieces by 43 artists such as Rachel Whiteread, Damien Hirst, Yoko Ono, Joseph Beuys, Roy Lichtenstein, Barbara Hepworth, Sophie Calle and explored the ideas of home including sanctuary, family and memory. 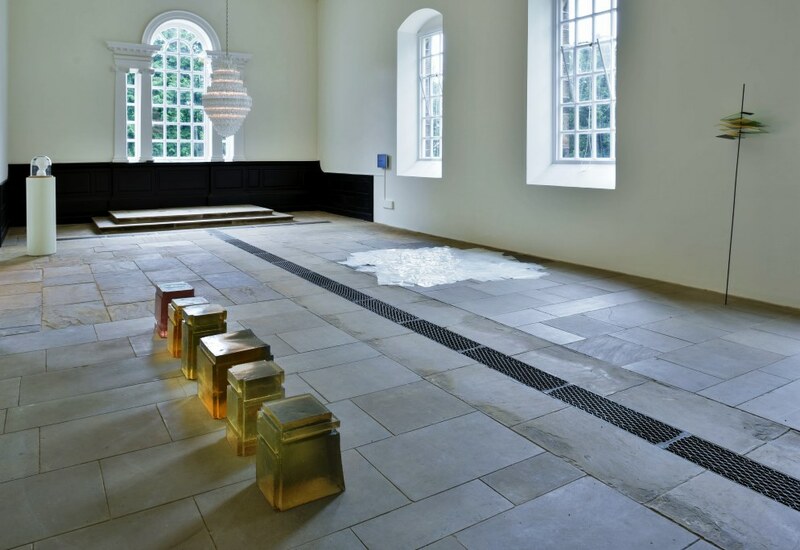 Transparency is now open in YSP’s Chapel, a beautiful building and space for calm and contemplation. Twelve works have been chosen from the Collection that in some way respond to ideas of transparency, whether that be its material qualities or more abstract notions of being without deceit or pretence. Unnamed (2011) by Yelena Popova, for example, combines archive and personal film footage of the town in Russia where she grew up, which was a secret atomic research base. How have these exhibitions been curated – have they been a collaborative process, or have you taken the lead by choosing what works and themes you wanted to portray? Each partner has the lead in curating shows from the collection but very much in supportive collaboration with the Arts Council Collection, which naturally has a significant demand on its available works. We’ve enjoyed dialogue with colleagues at the Collection and benefited from their extensive knowledge to be able to include works that we hadn’t first thought of but that are ideal, such as Home Entertainment by Chris Evans as part of At Home. What other exhibitions is YSP planning as a National Partnership to the Arts Council Collection? There are four more exhibitions in planning at the moment, soon to be revealed. How do these exhibitions complement the external shows that YSP delivers? YSP only has a relatively small permanent collection as our limited resources are invested in staging ambitious temporary programming. It’s wonderful to have access to the rich and diverse holdings of the Arts Council Collection of nearly 8,000 works dating from 1946 to the present day, plus the depth of accompanying research and knowledge, and to be able to share this with over 500,00 visitors per year. As well as being able to show highly important artists that we have not presented before, such as Dan Graham, Yelena Popova and Mark Wallinger, it’s enabled us to complement our open air loan collection of sculpture, such as The Family of Man by Barbara Hepworth, with her drawing Two Girls with Teacups (1949), which enabled greater and richer insight into her entire practice. How do these exhibitions differ from what YSP usually showcases? YSP usually stages monograph exhibitions of work by one artist rather than group projects. Being able to draw on the Collection is a different way of working and one I’ve thoroughly enjoyed – so tracing themes and making connections between works, the relationships between them in the gallery adding further to their appreciation. For example, in At Home, positioning the quite traditional sculpture Cat (1954) by Robert Clatworthy in relation to the contemporary photograph Untitled (RAL 49) (1995) by Richard Billingham, in which his mother nurses a kitten, makes interesting connections across time and medium. What have been the benefits of being part of ACE’s national partner scheme (for the gallery, public and academics)? The benefits are huge to being part of the National Partner scheme, not least being able to learn more about the Collection and the ways that we might work with it during the scheme and beyond, but also supporting access to it for as many people as possible, because of course the work belongs to us, the nation, whilst being in the expert care of the Southbank. What have been the challenges this project has brought and how have you overcome them? A key challenge has been the competition over works in the Collection, which are in great demand not just from the national partners – Walker Art Gallery, Liverpool; Towner Art Gallery, Eastbourne; and Birmingham Museums Trust – but museums, galleries, schools, hospitals and other institutions who regularly borrow. We’ve established very open and good-humored conversations, with the other partners, about what our ideal exhibitions and selections would be and where there might be clash we’ve worked together to resolve it.